Words by Kevin Doocey on February 27, 2010 . Every game from now until May is of huge importance to Newcastle United and our promotion hopes. The laughing stock of English football last year, we’ve managed to get a modest manager, and eventually managed to get some much needed faces in January, something that played a big factor in sending us down last season. Now however, we’re no longer the main club that’s subject to a huge amount of jokes. Portsmouth who today officially entered administration have a hard couple of months ahead of them and it’s likely we’ll meet them on the way up, if we can manage promotion. It’s never nice to see a club go into administration but it’s rumoured that Pompey have had plenty of warning, yet didn’t heed the signs. Now, they’re paying the price, and what a dear price it is. With a likely 9 point deduction, their Premier League survival hopes are practically over, which is saddening for Avram Grant who I think could’ve kept the club in the Premier League. Anyway, enough about them, we ourselves have a very important game tomorrow at Vicarage Road and it’s true to say that win there would make the table look very good, regardless of other Coca Cola Championship results. For me, Andy Carroll will be key tomorrow. He’s just been out of court for his first hearing and I think he’ll be revved up for the game. On top of that, peter Lovenkrands is injured and Leon Best is yet to find his scoring boots. 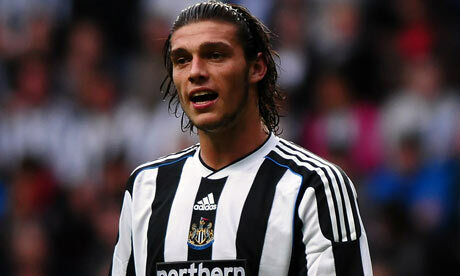 Tomorrow’s a perfect opportunity for Andy Carroll to make a statement and I think he’ll do it. We’ve been scoring a fair few goals at home of late and I’m hoping that they’ll continue tomorrow. Watford will be tough and no push-overs and I wouldn’t be surprised if Newcastle United didn’t arrive back on Tyneside with all 3 points. Watford are 6 games unbeaten on their home soil. If we can indeed score a few goals, and Andy Carroll hopefully bagging a hat-trick, then I’ll be a happy man come 5pm on Saturday evening. For anyone interested, William Hill are offering odds of 10/11 for a Newcastle victory, which aren’t great but nothing that you’d turn your nose up at considering we’re 27 points ahead of them in the table. Tyne Time may fancy Andy Carroll First Goalscorer at 9⁄2 but I’d be far happier if we just get the job done, and head home with 3 points! Dooce I would settle for a 1-0 win today and I am none too fussed who gets the goal. We do not have a good records there.